London: The MSCI World stock index climbed to an 11-month high and emerging-market bonds rallied on growing signs of a global economic recovery and improvement in the financial system. The MSCI World Index of 23 developed nations rose 0.4% at 12.45 pm in London to the best level since October. Russian bonds extended their longest winning streak since August 2007 as the benchmark dollar notes due 2030 gained for an 11th consecutive day. Job openings in London financial services climbed the most this year in August, signalling the industry is recovering from the collapse of Lehman Brothers Holdings Inc. one year ago. “Risk appetite is coming back with a bang," said Tom Fallon, head of emerging markets at La Francaise des Placements in Paris, which manages the equivalent of $11.8 billion. “We’ve had upside surprises on data in emerging markets and in G-7". The Dow Jones Stoxx 600 Index of European shares climbed for the 10th time in 11 days, adding 0.5%. A 56% increase since 9 March has driven valuations on the gauge to 46.8 times profit, the highest level since 2003, weekly Bloomberg data show. Futures on the Standard & Poor’s 500 Index added less than 0.1% before a report that may show U.S. builders broke ground on the most houses in nine months in August, another sign of stability in the industry that precipitated the worst financial crisis since the Great Depression, economists said. 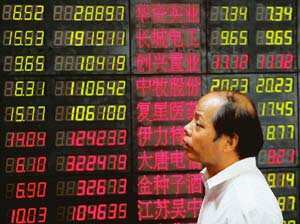 The Shanghai Composite Index climbed 2% to a one-month high. The MSCI Emerging Markets Index gained 0.8% to the highest in a year. The MSCI World Index has climbed 66% since March 9. Justin Carrigan, Laura Cochrane, Gavin Serkin, Paul Armstrong, Sarah Jones and James Ludden in London contributed to this story.